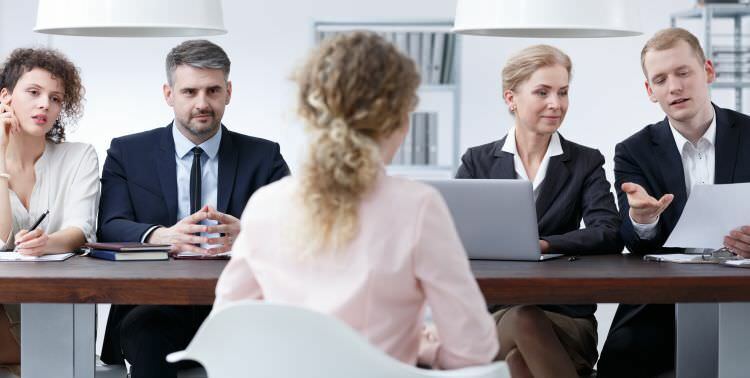 With clients putting pressure on law firms to keep rates low and associate salaries on the rise at many firms, firm leaders are increasingly looking to adjust their staffing models, oftentimes placing more responsibilities on their paralegals. More firm leaders are looking to nonlawyer staff members, such as paralegals, to take over duties that may have once fallen on first-year associates, industry observers said. It has allowed them to lower the costs for clients and in many cases increase the firm’s profit margin. But as those tasks fall on other professionals, firms will likely hire fewer new lawyers to fill the traditional role of a first-year associate. According to Altman Weil’s 2016 Law Firms in Transition report, more than 70 percent of firm leaders are changing or considering changing their strategic approach to staffing. And nearly 38 percent of them expect to shift work from lawyers to paraprofessional staff. Among firms with more than 250 lawyers, that percentage rose to nearly 42. Harry Reichner, secretary of The Philadelphia Association of Paralegals and a paralegal at Cozen O’Connor, said he expects a movement toward greater paralegal involvement at law firms, so those firms can provide services to clients who are currently struggling with the high cost of legal services. Cozen’s paralegals are billed out at relatively high rates because of the clients they serve, he noted, but the large-firm environment and technological resources allow him to focus more on substantive legal work and less on clerical tasks. The Altman Weil survey came out just a few weeks before a wave of associate salary increases that stole legal industry headlines this summer, beginning in June when Cravath, Swaine & Moore pushed its first-year salary to $180,000. Cravath’s move drove a number of firms across the country to rework their pay scales, even if they chose not to match $180,000. Tom Clay of Altman Weil said he and other consultants have been “preaching” to firm leaders that they should reassess their staffing models. As firms adopt those models, he said, it will likely keep hiring of new associates depressed. “The profit margin on paralegals can be much higher than with associates or anyone else,” Clay said. “Paralegals have been around for generations, but now [firms are] realizing paralegals can be a better, more cost-effective method of getting things done.” Paralegals who possess an Associate Degree in Paralegal Studies, where they obtain hands-on experience in preparing pleadings, including Motions, and research are most desirable to firms as they have this specialized experience not traditionally offered in law school. While they are unable to practice law and argue matters in court, they prepare pleadings, manage cases and handle clients, providing the firm with a well-rounded employee for their firm at a more reasonable salary than that of an attorney. Further, Clay said the profit margin for paraprofessionals often outweighs an associate’s profit margin for up to six years into the associate’s career. And a firm will likely experience a loss for most associates in their first year, and possibly second year. “Everybody knows with a good paraprofessional versus a brand new lawyer out of law school, the paraprofessional is far more efficient and effective,” he said. Anne Newcomer has been a paralegal at Meyer, Unkovic & Scott in Pittsburgh for four months and worked at Goehring, Rutter & Boehm for about a decade before that. Throughout that time, she said, she and other paralegal colleagues have taken on “much more increased responsibility, where formerly a young associate would have handled those tasks.” Some of those tasks include assisting with research, drafting tax liens, making calls and interacting with clients, Newcomer said. Kleppinger said his firm routinely calls on nonlawyer professionals in a variety of practice areas including intellectual property, real estate and energy. He said the firm looks at staffing from the perspective of clients, who want better service at the best possible value. “We’ve been doing that for quite a while, and it doesn’t only relate to paralegals, in a variety of our practices where it’s not essential that a lawyer do different functions,” Kleppinger said. Like Kleppinger, Newcomer said firms’ increased dependence on paralegals is client-driven, particularly in insurance defense, where she used to do a lot of her work. Insurance adjustors would look over the bills, then point out certain associate tasks that a paralegal could have done, she said. As those duties expand in scope, Clay said, navigating the ethical boundaries for nonlawyers should be simple. Those professionals simply have to work under the auspices of a lawyer, he said. “The rules of professional responsibility are extremely clear about the use of paraprofessionals,” he said. Kleppinger said it’s clear when a lawyer needs to step in to oversee a paralegal’s work, and where to draw the line in terms of doing legal research and opinions. And nonlawyers are always introduced with the proper title, he said, to avoid confusion. “It’s very clear that they’re not signing any documents or letters … without the clear designation,” he said. Reichner said he is “pretty autonomous” as a paralegal at Cozen. But, he said, it’s very clear where his role ends and an attorney’s role begins. Clay said that should be the case. Ideally a firm will have one secretary for every six to eight lawyers, he said. “The real, long-term potential savings is in legal secretaries,” Clay said. Our Paralegal Studies Program here at Northwest Career College offers the best in legal education, research, writing and communication skills for each student’s utmost success as they transition into their prospective employment position in the legal community. Specifically, they obtain hands-on experience in research and writing; researching case law, applicable statutes, codes and procedures and drafting various pleadings and correspondence. Additionally, our paralegal students gain first-hand experience of the process while experiencing various field trips and guest speakers applicable to their studies. Upon completion of their course studies, students then venture on to their 300-hour externship with a boutique law firm so they may improve their skills and obtain experience on actual cases, under the direct supervision of an attorney. Our students then earn their Associate Degree in Paralegal Studies, which evidences the culmination of their accomplishments in this program. Completing a versatile program in Paralegal Studies is an incredible and important stepping stone for a student’s career and continued education in the field of law. Previous Blog: Cancer and Massage: Healing after MastectomyNext Blog: What Can I Do With Medical Administrative Skills?